If you require accommodations to participate in or attend any part of HackUConn, contact Accessibility at UConn in advance of the event. Thank you very much to everybody who organized, planned, sponsored, mentored, and helped make HackUconn happen! Stay tuned for updates about next years’ ideas and feel free to contact us with any questions or comments! Join us for the fourth iteration of HackUConn, a 24-hour hackathon hosted at UConn’s Storrs campus. This year we’re bigger and better than ever with more prizes, more sponsors, more speakers, more free food, and more hacking – are you up for the challenge? 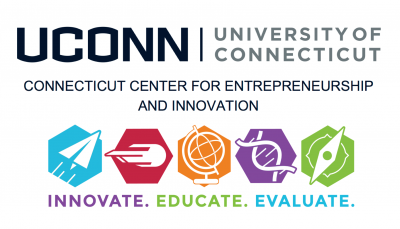 HackUConn is a 24-hour marathon event that aims to bring together young innovators and tech industry experts for a non-stop fast-paced invention competition. Students form groups at the start of the event and combine their technical skills with the resources we provide such as hacking supplies, 3D printers, laser cutters, and tech mentors to prototype ideas of value. The event is 100% free for all participants and funded by our generous sponsors. Throughout the competition, mini-events such as speakers and hacker workshops are organized and food and snacks are always free! We’ve got tons of awesome prizes in store for everyone this year. In addition to giveaways of t-shirts and water bottles, teams will get a chance to compete for one of our many coveted cash prizes up to $2,000. In the past, we’ve given out Phantom drones, Beats headphones, and other awesome tech, too! Free snacks and food will provided throughout the entire event thanks to our delicious local vendors. Have any special dietary restrictions? Let us know! We accommodate all dietary restrictions. HackUConn will be hosted on the first and ground floors of Werth Tower (formerly NextGen Hall and WRT on the campus map), the newest residence hall on campus perfect for all of the needs of the event. The schedule for HackUConn 2019 is available here now! Thank you to our HackUConn 2019 Sponsors!